The Seventh-day Adventist Church operates as a representative democracy. 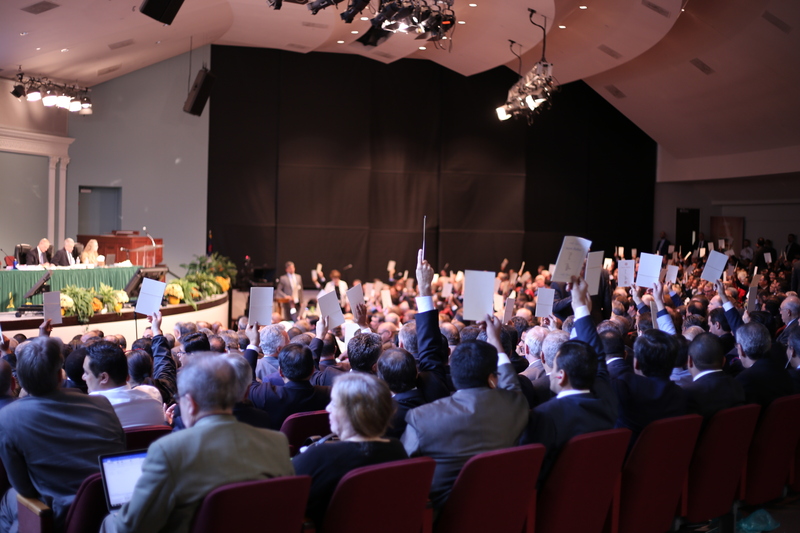 The Church’s final authority is the assembly of duly-elected delegates from all parts of the world field in its General Conference Session. “God has ordained that the representatives of His church from all parts of the earth, when assembled in a General Conference, shall have authority” (9T 260). “When the judgment of the General Conference, which is the highest authority that God has upon the earth, is exercised, private independence and private judgment must not be maintained, but be surrendered” (3T 492). 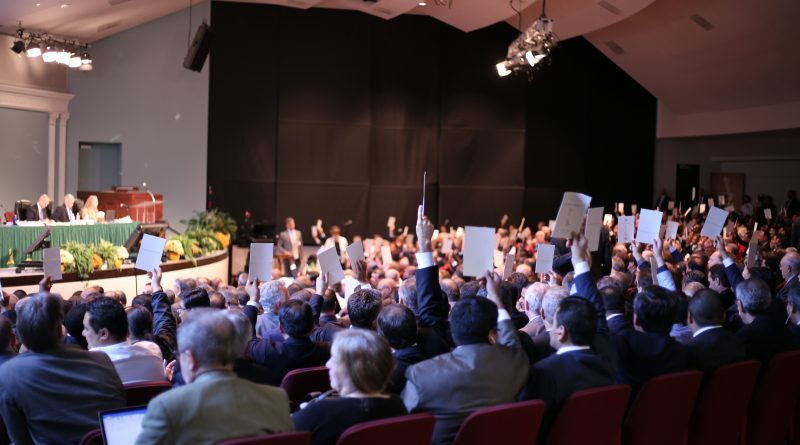 One person or lesser council may not, therefore, alter or fail to act on the decisions of the Church in General Conference Session with impunity. This includes the Church’s Executive Committee in Annual Council composited of its highest elected leaders. The General Conference Working Policy contains the Constitution and Bylaws of the General Conference, the Mission Statement and the accumulated or revised policies adopted by General Conference Sessions and Annual Councils of the General Conference Executive Committee. It is, therefore, the authoritative voice of the Church in all matters pertaining to the mission and to the administration of the work of the Seventh-day Adventist denomination in all parts of the world. Officers and administrators are expected to work in harmony with the General Conference Working Policy. Those who show inability or unwillingness to administer their work in harmony with policy should not continue in executive leadership by their respective constituencies or governing boards/committees. The General Conference Executive Committee shall have power to elect or remove, for cause, officers, directors, and associate directors of departments/ associations/services and committee members, and to fill for the current term any vacancies that may occur in its offices, boards, committees, or agents due to death, resignation, or other reasons. The phrase ‘for cause,’ when used in connection with removal from an elected or appointed position, shall include but not be limited to 1) incompetence; 2) persistent failure to cooperate with duly constituted authority in substantive matters and with relevant employment and denominational policies. Should the Annual Council, or General Conference Executive Committee alter, or fail to act on, significant issues voted in General Conference Session, it will answer for such to the General Conference Session.